It’s a question many of our friends have asked over the years, and it’s something we answer again and again, every season. What exactly is a snowboard camp? From luxury accommodation, and smooth transfers, to wholesome breakfasts and tasty dinners, it’s all the best bits of a winter holiday, organised with professional REAL Snowboard coaching thrown into the mix. 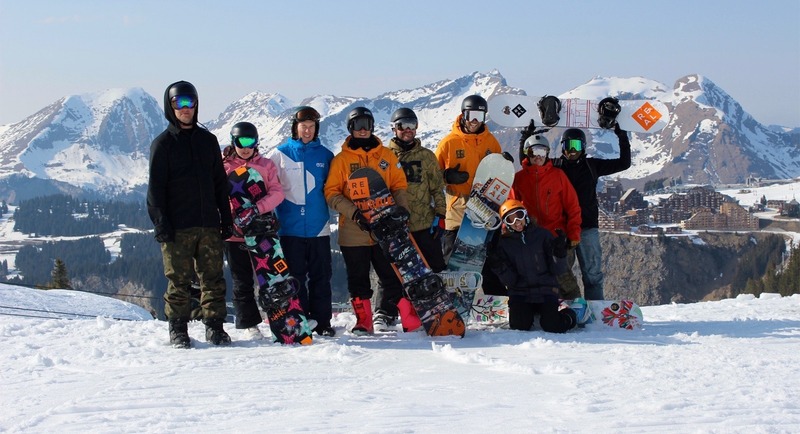 The wonderful folk who choose snowboard camps usually do so for one main reason – they’re completely hooked on snowboarding, and want to get better, and better at it. You’ll be supported to stomp your next trick, you’ll chat with people who know what they’re talking about, just like you, and you’ll share a drink at the end of the day with a shred crew to call your own. Whilst freestyle riding is a big part of a REAL Snowboard Camp, progression takes place all-over the mountain! We spend all season hunting for good side-hits, and spots to try new, and creative things with our shred crews – so you can be sure that you’ll be hitting plenty of fun, varied terrain. We all remember watching our first snowboard video, and dreaming of the day we’d catch that first floaty grab. But how many of us actually got there? How many of us stopped ‘learning’ once we could happily cruise around the mountain with our friends? Riding on a snowboard camp is about progression. It’s about committing to yourself to take your snowboarding to the next level, and being able to express yourself creatively on your snowboard. A REAL Snowboard Camp will establish confidence, progress your riding, and develop your style – guaranteed. We understand the expensive nature of our snowboarding habits. So we always work hard with our chosen partners to secure the absolute best deals in resort – for what are always unforgettable weeks.